A cover letter is a part and parcel of a resume but it is often ignored as an essential document that can boost up your chances of getting hired. The key purpose of a cover letter is to brew up all the professional potentialities in a candidate in a few crispy sentences. 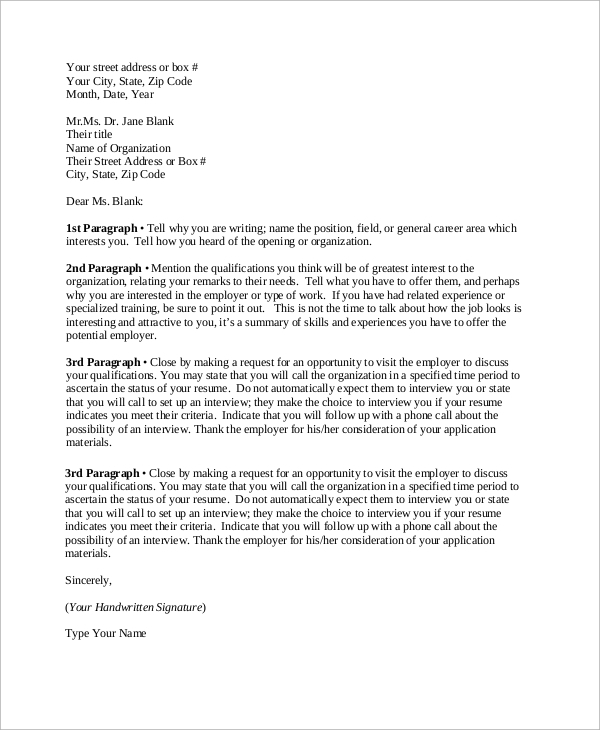 You need to know the Cover Letter Outline when you craft a convincing document, and here are some Sample Cover Letters for you to check out. 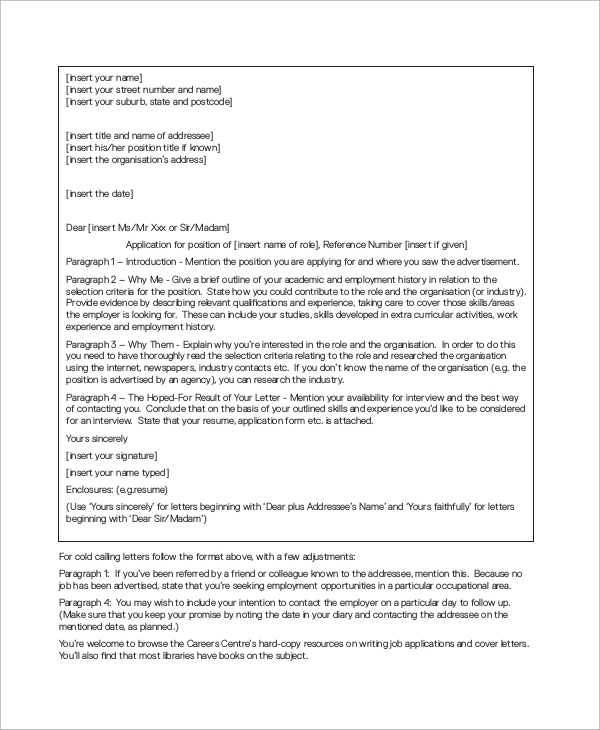 This cover letter outline explains how to tailor a cover letter as per your qualities and professional achievements. 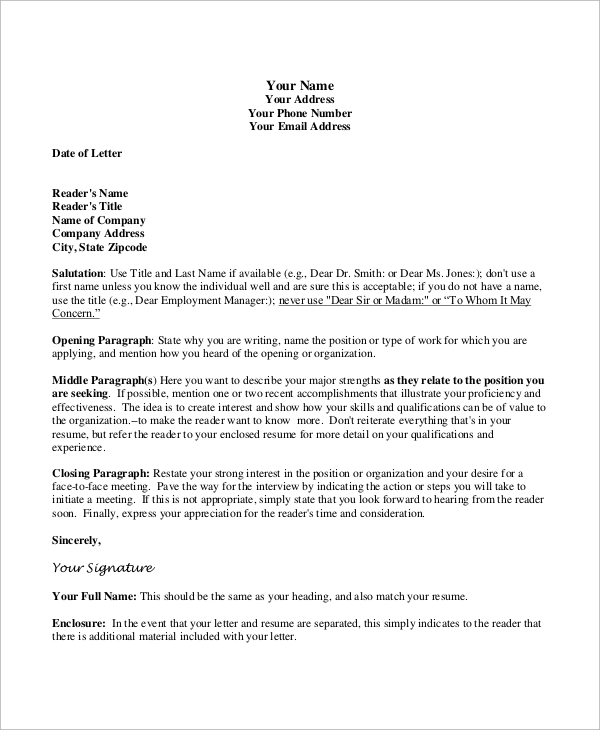 The document explains the content of the three paragraphs in a typical cover letter format. This letter includes all the formalities, including the address, date, etc. There are three paragraphs explaining why you are the right candidate for the post. 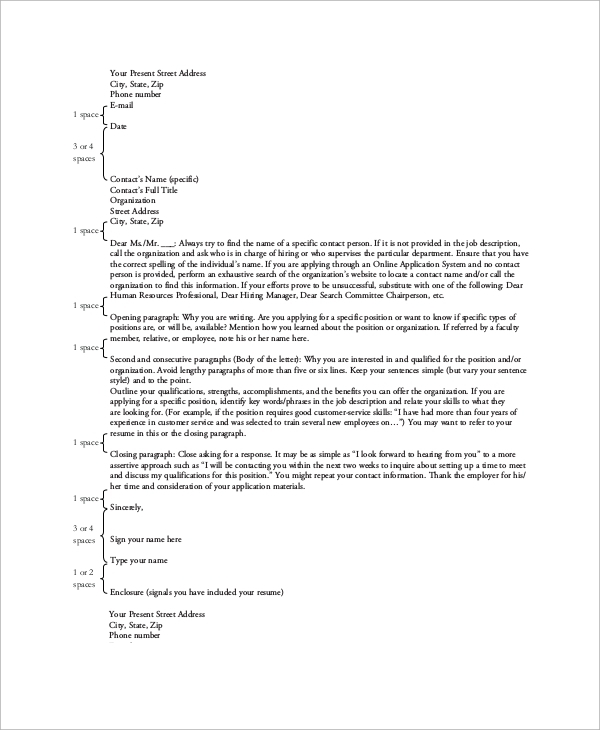 This Professional Cover Letter has four paragraphs; the additional paragraph deals with how the candidate will mold his skills for the benefit of the company. The skills and expertise of the professional are highlighted here. 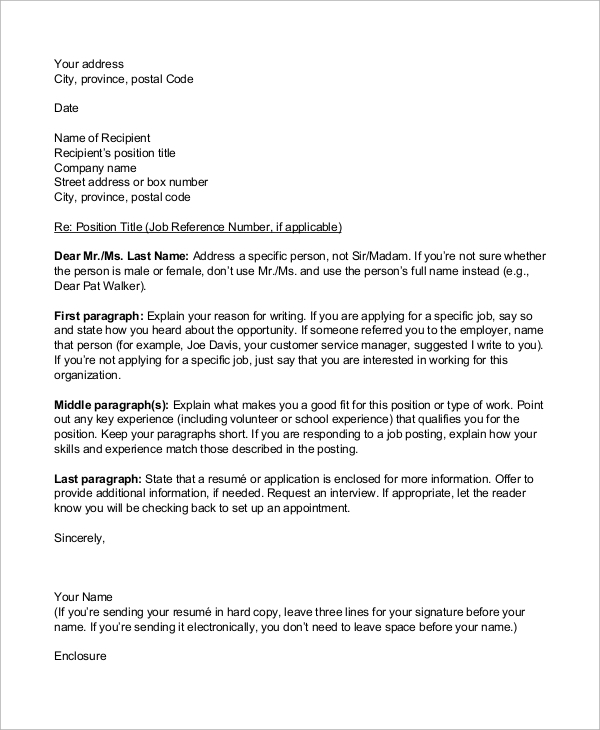 How to Format a Cover Letter? A Sample Cover Letter justifies why you are suitable for a particular job and so you need to mention the reason right in the first paragraph. You have to do some homework about the background of the company and explain how your skills are likely to benefit the company. In the second paragraph, you need to stress on your qualifications and abilities. This should be projected at specific areas where the company faces a deficit in manpower. You can end the second paragraph with a promising note that you can solve the problem. The third paragraph contains a note of thanks and your willingness to work together. This cover letter is used to tailor one’s professional profile for a particle business. 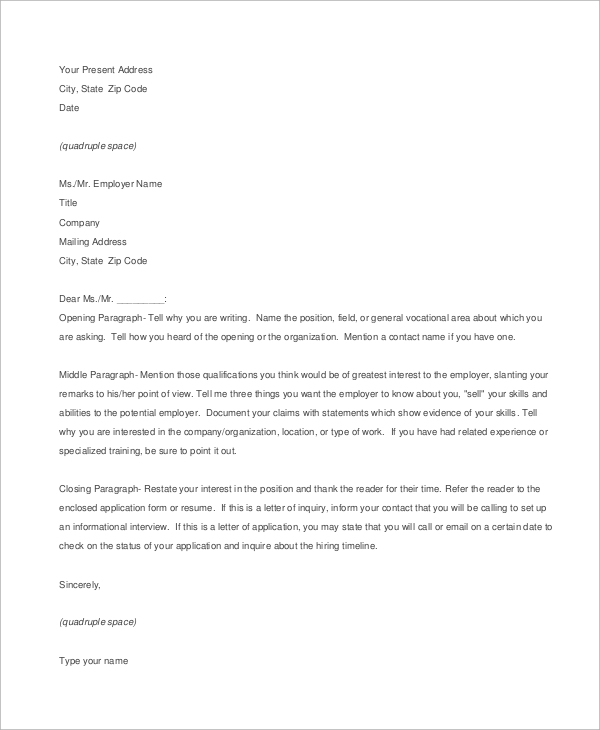 When a candidate joins a new business house, he has to craft a confident cover letter like this one with different segments, organizing his skills. You can also see Job Cover Letter Samples. This cover letter starts off with a salutation to the employer. In this letter, three paragraphs are included after the introductory paragraph. It aims at making the employee compatible with the organization. What Should You do to Craft a Winning Cover Letter? You need to be clear about the way you are willing to help the company. A cover letter can convey certain facts about your professional career, which cannot be included in a resume. For instance, you can state how you earned a particular position and how you look forward to propelling the company ahead. You may also use Email Cover Letters. You need not focus much on the education, as the employers are more focussed on the skills of the employee. You can include the educational details in the resume instead, just mention the latest qualification in the cover letter. You can incorporate a few testimonials or tell a story in the cover letter to break the boredom of professional details. Different cover letters need to be crafted in different ways for distinct professions. You may browse the website for different formats of cover letters and customize them as per your requirements. You may also need Cover Letter For Internship or a Basic Cover Letter. You will find all types of related documents on the website.